The main event in the first Wrestlemania to have the distinction of being headlined by females has seen Becky Lynch favored all along and that has never changed. The two champions defending their respective championships in this match have both been listed as underdogs throughout, with Ronda Rousey's odds always being much better than the dark horse, Charlotte Flair. The Universal Championship match is currently in a dead heat. Early on the challenger Seth Rollins was slightly favored and at one point champion Brock Lesnar overtook Seth as the favorite. As of press time the odds are very close, with Rollins favored by an insignificant margin, although the odds have been fluctuating rapidly. 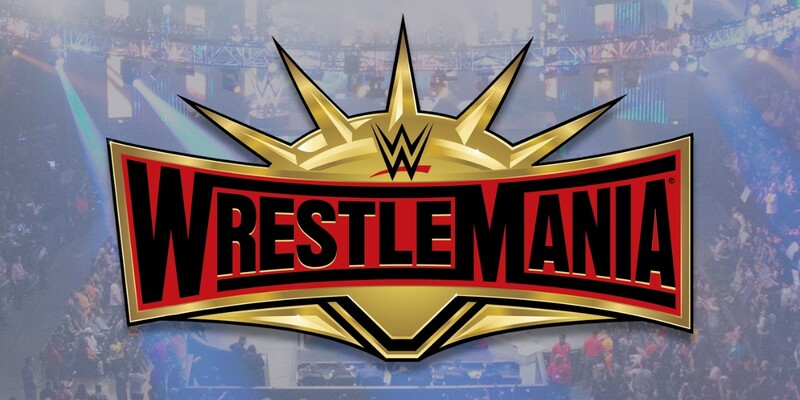 KofiMania is in full effect and Kingston is respectably favored to defeat WWE Champion Daniel Bryan. The return of Finn Balor's "demon" persona revealed to be happening has made him an enormous favorite to best Bobby Lashley in his challenge for Lashley's Intercontinental championship. Rey Mysterio, on the the other hand, has underdog odds in challenging Samoa Joe for the United States championship. Three tag team championships are being defended at Wrestlemania. The inaugural Women's tag team champions, The Boss 'n' Hug Connection are favored to retain those titles in a Fatal Fourway with the IIconics having the best odds outside of the champions, The Divas of Doom having longshot odds to become the champions and the team of Nia Jax and Tamina falling somewhere in the middle. Another Fatal Fourway, this time for the Smackdown tag team titles see The Usos favored to retain the titles against the three other teams challenging them. The Raw tag champs, The Revival are underdogs defending against Zack Ryder and Curt Hawkins. Buddy Murphy's dominance of the cruiserweight division is projected to continue as Murphy is favored to retain that weight division's championship against challenger Tony Nese. In other featured matches Triple H is favored in a career threatening match against Batista while Roman Reigns has great odds in a grudge match as Reigns faces Drew McIntrye. Kurt Angle is favored to win his farewell match against Angle's hand picked opponent Baron Corbin and AJ Styles is also favored to defeat Randy Orton, however those odds are very close at the moment. Braun Strowman has really great odds to win The Andre the Giant Memorial Battle Royal, to the point where Strowman has a 50% chance of winning against numerous other entrants. Kevin Owens has seen his odds of winning the royal increase dramatically and is the second most likley to win after Braun. Ali actually has the next best odds, which is surprising. Looking at the Wrestlemania Women's Battle Royal, Lacey Evans is the clear favorite and it is no secret WWE has huge plans for Lacey, with this potential win being the payoff to how she has been featured with her spontaneous "catwalks" during matches. Asuka has the next best odds of winning the Women's Royal, which may quell fans upset with her recent booking and overall spot of this card. Carmella would be the next most likely to win this match. As always, these odds are subject to change from up to the point the bell rings for each individual match. For those unfamiliar will deciphering these betting odds, a minus sign indicates the favorite, while a minus sign designated the underdog. The size of the number next to the plus of minus tells us exactly how much of a favorite or underdog particular wrestler(s) are in a given match.